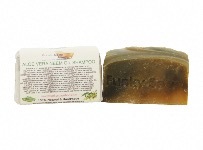 THIS IS A SOLID SHAMPOO MADE WITH HENNA AND ESSENTIAL OILS. HENNA IS GREAT FOR HAIR CARE, IT IS A NATURAL DEEP CONDITIONER THAT WILL COAT YOUR HAIR SHAFT, SEALS IN MOISTURE AND NATURAL OILS AS WELL AS ENHANCING YOUR HAIRS BODY. 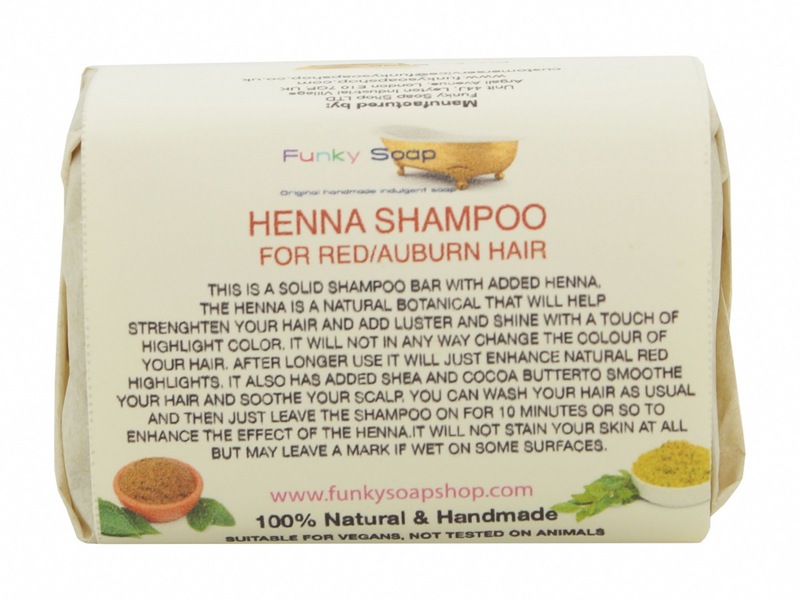 HENNA IS KNOWN FOR PROVIDING VIBRANT RED COLOUR , HOWEVER THIS SHAMPOO WILL NOT IN ANY WAY CHANGE THE COLOUR OF YOUR HAIR, AFTER LONGER USE IT WILL JUST ENHANCE NATURAL RED HIGHLIGHTS. 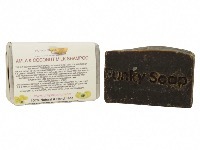 IT ALSO HAS SHEA AND COCOA BUTTER TO SMOOTH YOUR HAIR AND SCALP. 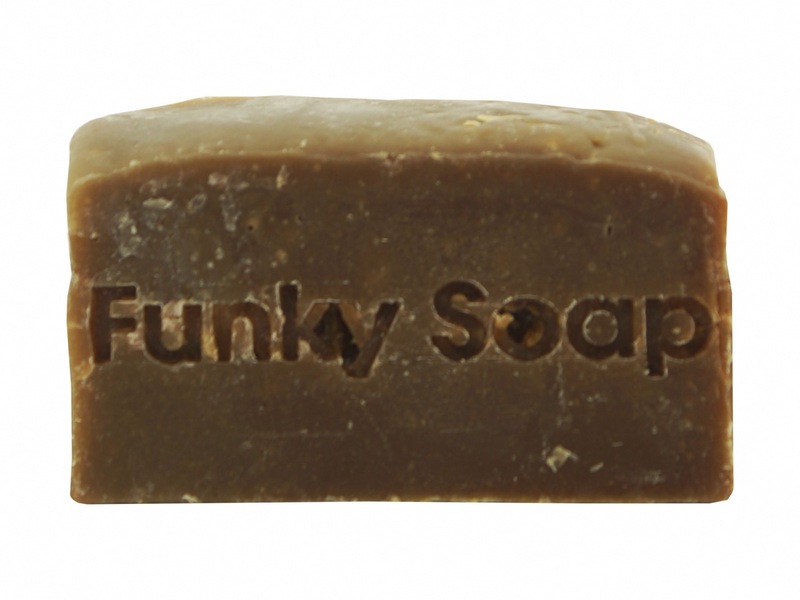 JUST LATHER UP BETWEEN YOUR HANDS AND USE LIKE A SHAMPOO. 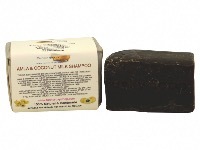 YOU CAN LEAVE THE SHAMPOO ON YOUR HAIR FOR A FEW MINUTES TO GET THE FULL EFFECT OF THE TREATMENT. YOU CAN USE A CONDITIONER AFTER BUT TO STAY NATURAL JUST RINSE WITH A LITTLE DILUTED VINEGAR. PLEASE KEEP OUT OF EYES! This is my 4th time buying the henna bar. Would never go back to 'proper' shampoo! Easy to use. Smells lush. This is my second batch. It took about 2 and half month washing my hair 3 times a week for my hair to "detox' but I'm really happy with it. I suggest you use conditioner on the end of your hair only as I find it stops your hair at the base to get too greasy too fast. I don't need to wash my hair more than twice a week now and with a henna mask every 6 weeks, I have no more visible white hair. 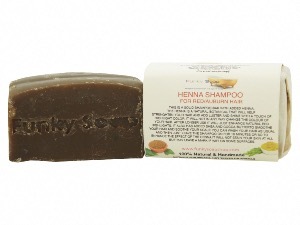 Love this shampoo bar: have always been a big fan of henna and this leaves my hair shiny and soft. Highlights build up gradually - nice and subtle. Lovely smell too. Excellent purchase, prompt delivery, good quality goods. Will hope to use this seller again in the future.